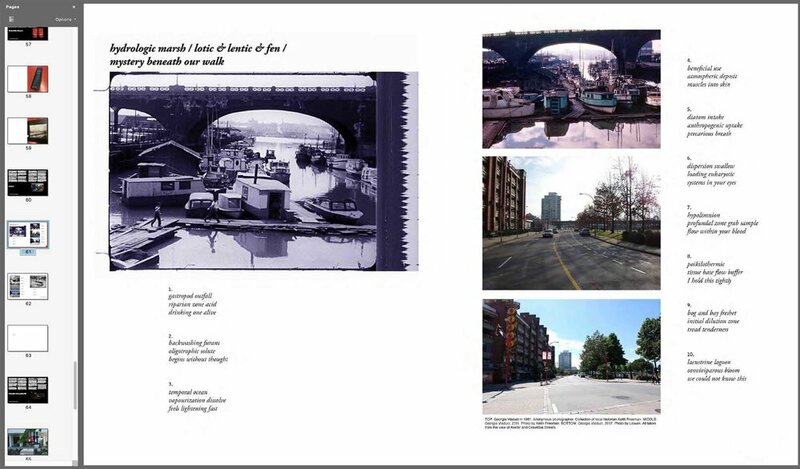 “ The Northeast False Creek Public Art Plan is one component of many that constitute the Northeast False Creek Area Plan, a comprehensive planning document that will guide future development for Northeast False Creek (NEFC). Available as a printed publication and for download as a three-part PDF, the NEFC Public Art Plan presents a framework to guide public art commissioning in this area over the next 20 years or more. 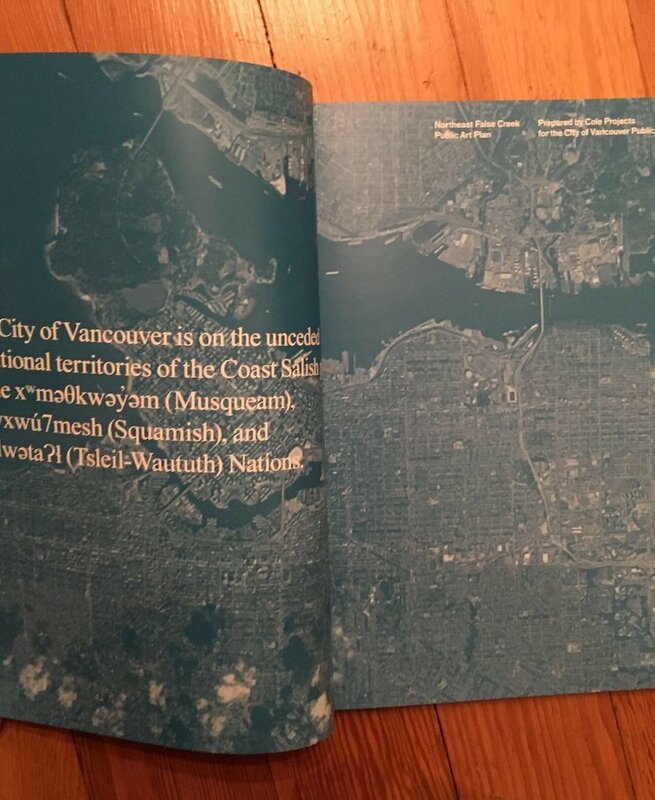 It was prepared as a reference document intended for City of Vancouver (CoV) cultural planners and programmers, the Public Art Committee (PAC), public art consultants, public art juries, curators, artists, and others who will be involved with public art projects within the area’s boundaries. It introduces a program of public art that supports artists, curators, partner arts organizations, and the communities they engage with to take on active and challenging roles in shaping the public spaces of NEFC.